Follow Radford road towards Keresley. At the island by the Wallace P.H. turn right our premises are located on the right in a row of shops. 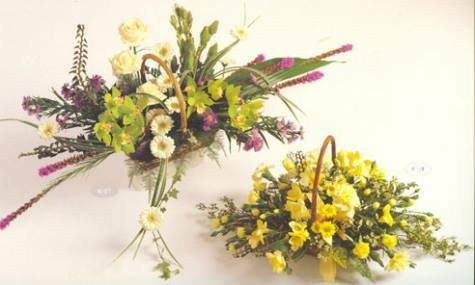 In January 2005 Darren Lloyd, opened the doors and welcomed in a new era and a new approach to funeral directing. After working in the funeral industry for numerous years, he decided that a more personal and bespoke service was required. The team includes Muriel Grimmett, who has worked within the funeral industry for over 30 years. They offer a full range of both traditional and contemporary funerals with the principal objectives being, care, consideration and compassion in your time of need. A friendly family run business with genuinely caring staff. A J Lloyd was established in 2005, the first new funeral directors to open in Coventry for sixty years. Our Silver Mercedes Hearse and Limousines are available for you to use. we also offer our own Horse drawn Carriages which are available in Black White and Silver. Our Horse drawn funeral carriage is offered to you at cost price in order to save you money. Whatever your religion or beliefs we at A J Lloyd we can tailor arrangements to meet your wishes or needs. We use Golden Charter a leading funeral plan provider. We recommend a plan called the independent Way this plan can be tailored to suit your individual needs so you only pay for the things you need, not a package deal like some other plans. You decide the type of service that you would like, where it should take place and the readings or music that you would like, all of this information is recorded and kept secure. You can update your plan at any time and as often as you like without any additional costs. Payment for the plan couldn't be simpler. Either pay in one lump sum, over twelve months interest free or over a longer period with a small charge for interest. Click here to email us or call us direct 024 7633 1900. We will then send you an information leaflet or you can make an appointment. You can either come to our office or we can call at your home wherever you feel the most comfortable.